The main campaign of the game already has 30 levels, but we’ve added 10 optional bonus levels! Some of them are timed challenges that require you to make an unusually high number of dishes in a short span of time, and some of them are scenarios where you have a kitchen layout already set up and you have to make some fixes. Fun! Beam my burger up, Scotty! Now you have access to the ultimate mean of transportation: the brand new Teleporter! But be careful, its power usage is quite high! 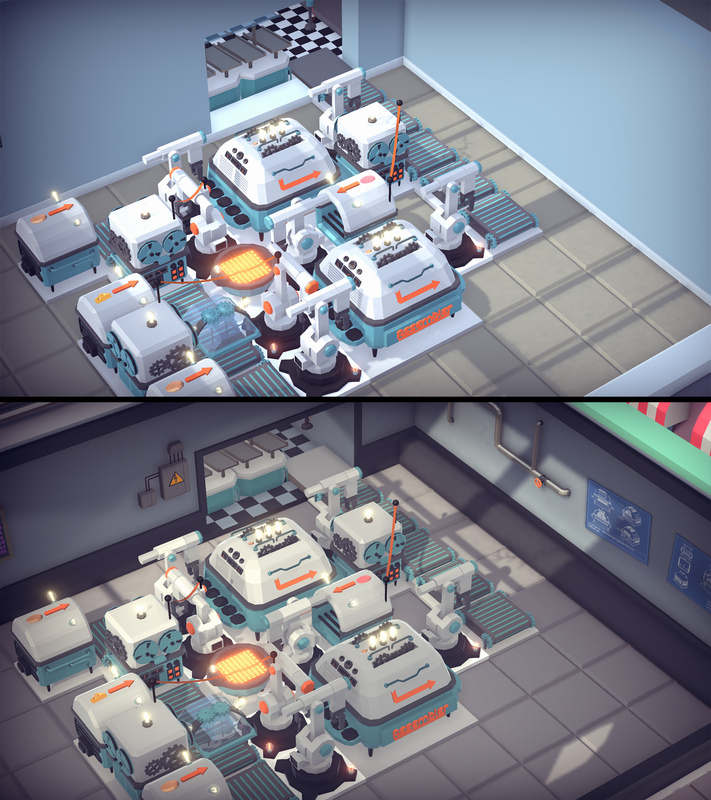 We’re working on new 3D assets and a new lighting system to give Automachef a much more refined look. More news to come!